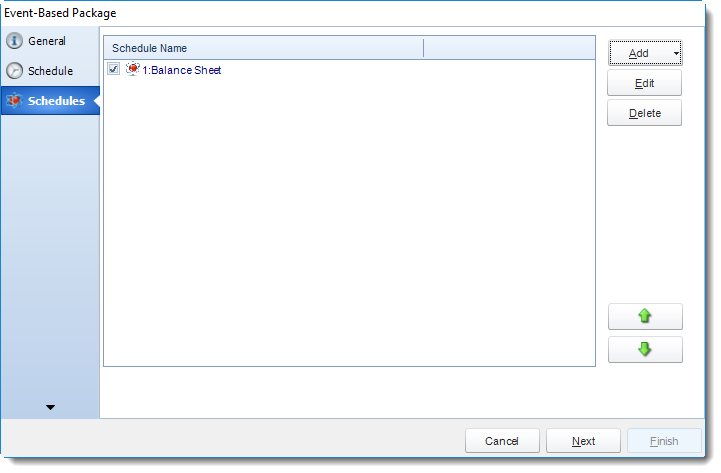 How do I setup Event Based Packages in SQL-RD? 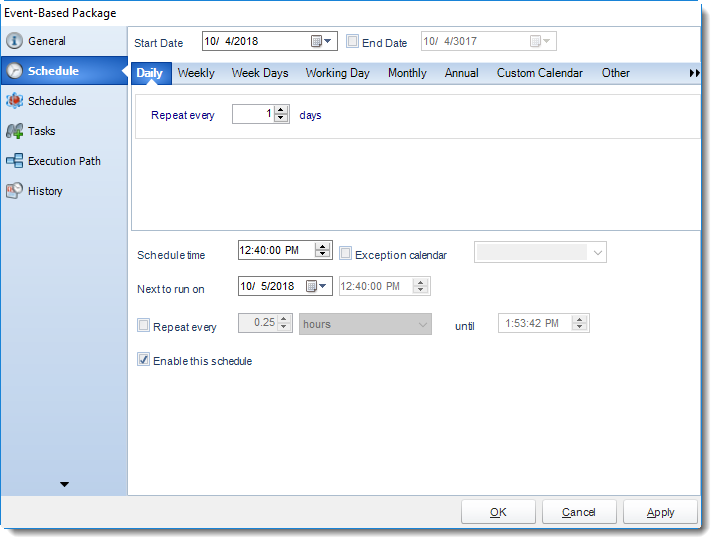 An Event Based Package Schedule allows you to run several Event Based schedules at the same time. 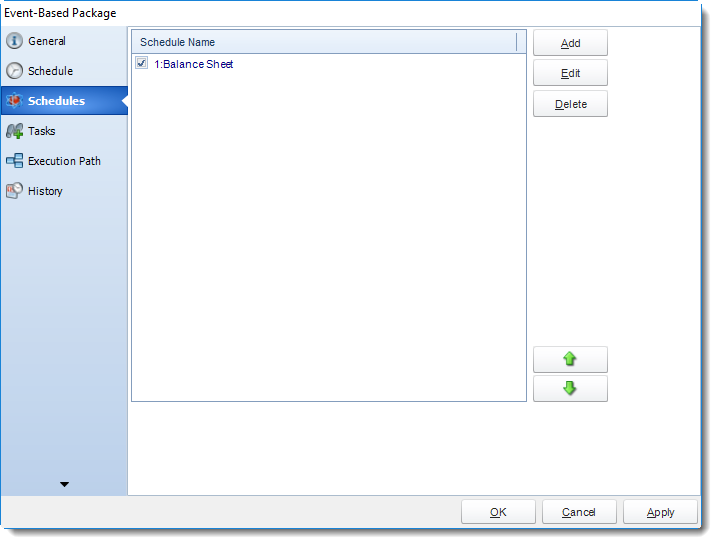 It also allows you to determine the timing and order of execution of the Event Based schedules in the package. 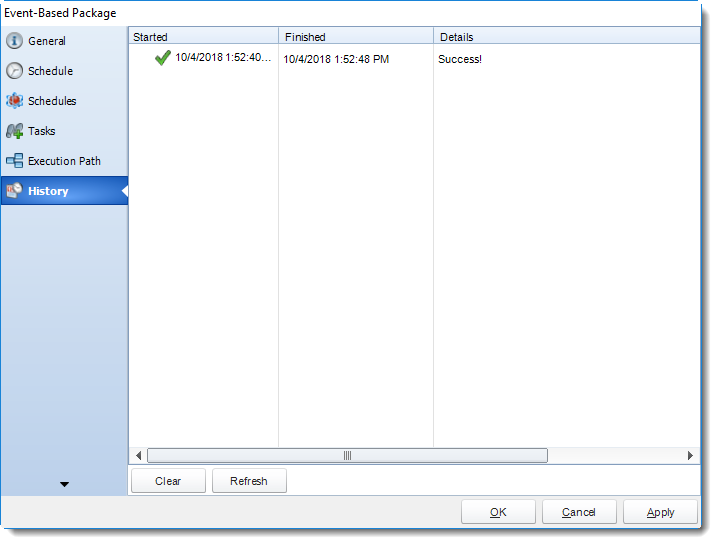 How do I create Event Based Package in SQL-RD? 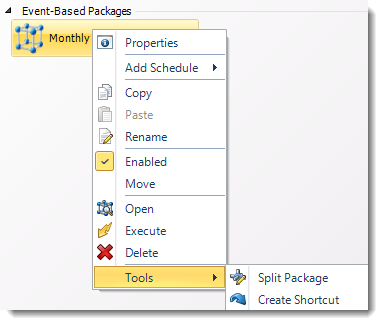 Go to Event Based Package. 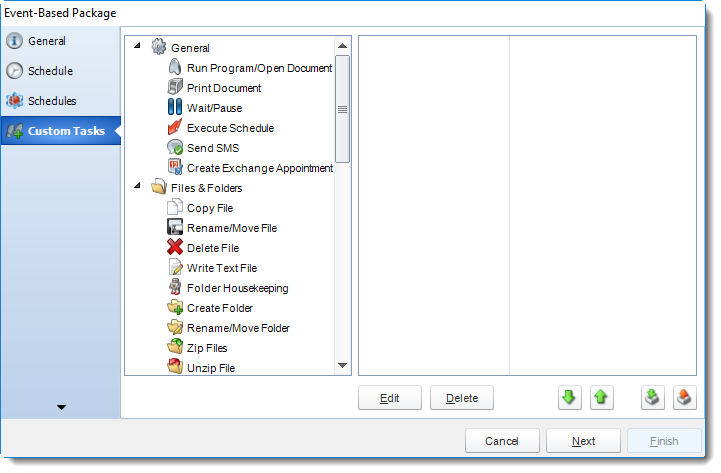 Parent Location: The SQL-RD folder where the schedule is stored. 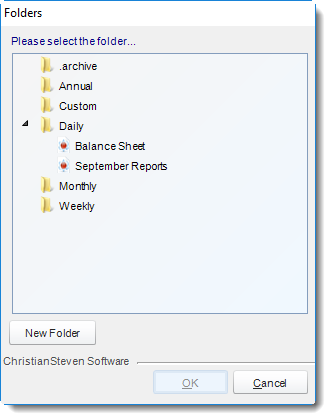 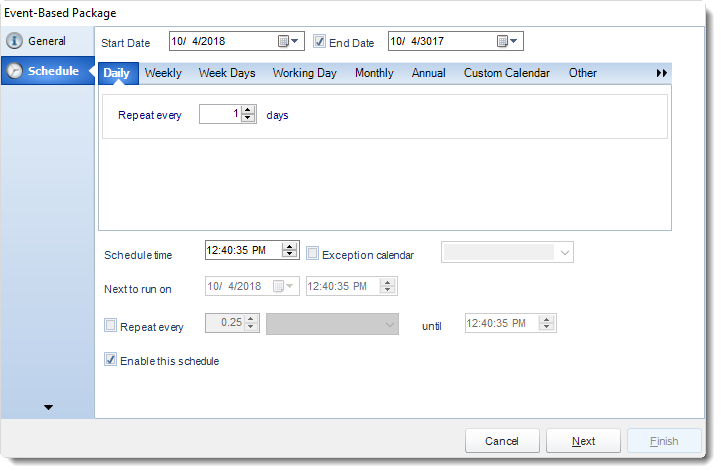 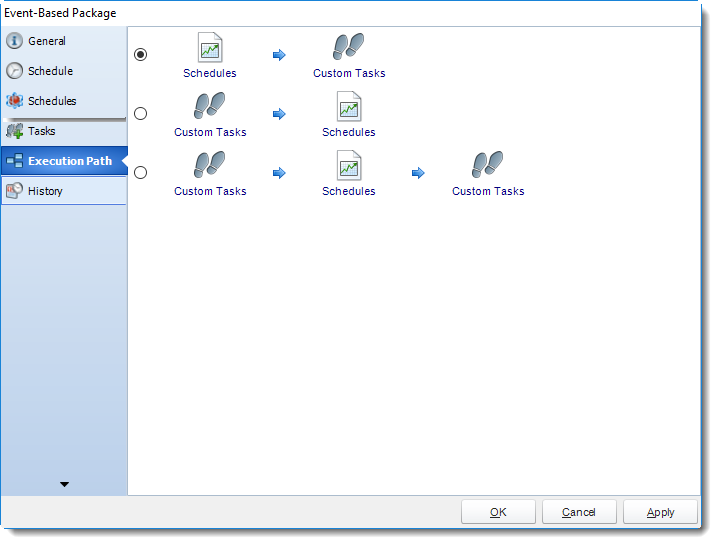 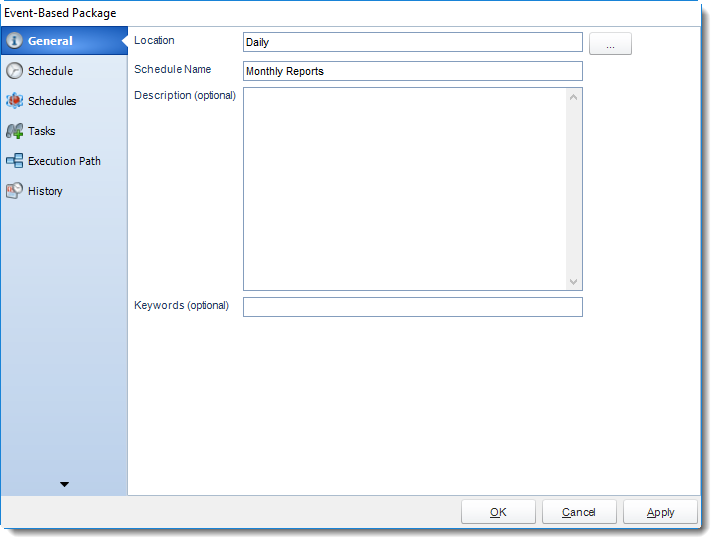 Display a screen where you can create a new reports schedule. 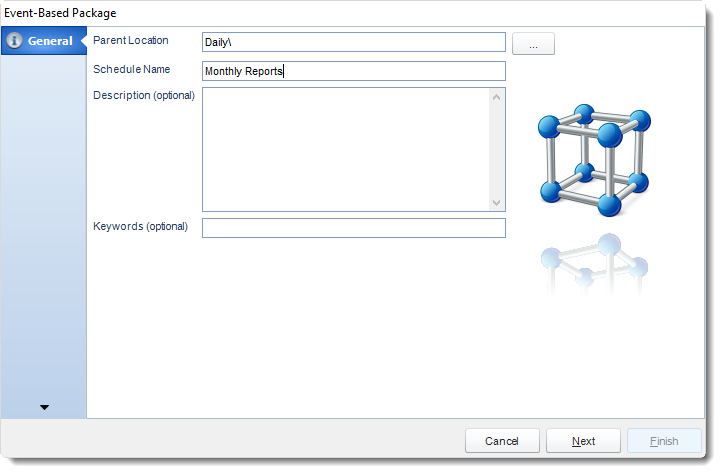 To add a new Event Based Report, click here. 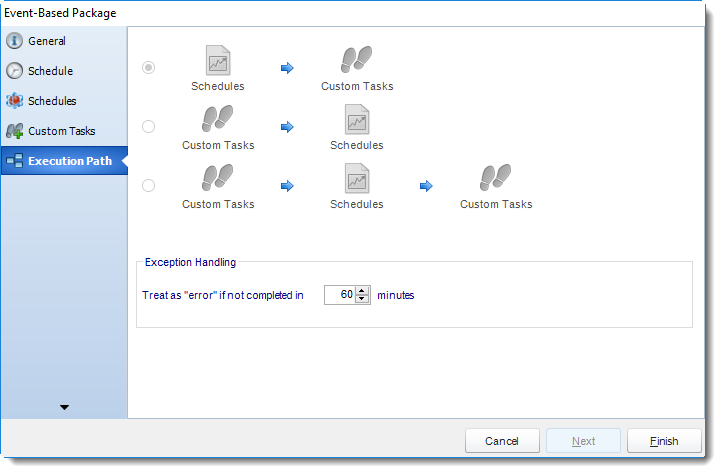 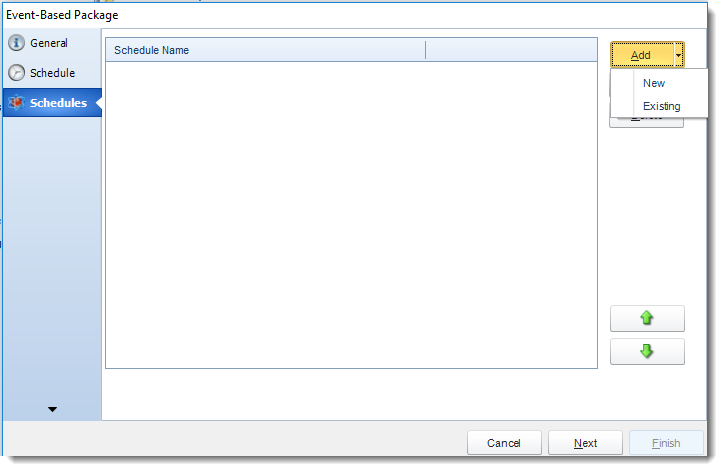 Displays a list of existing schedules in SQL-RD for you to choose from. 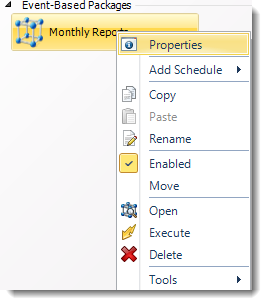 Select the schedule and click OK.
Add Schedule: You may add new reports or existing. 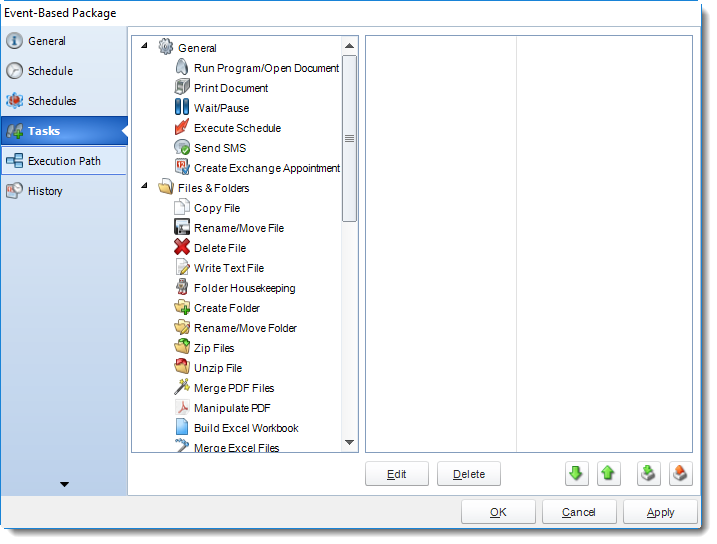 Split Package: This will split all the constituent reports in the package.